Nendran Pazham Halva This is one of my favorite sweet dish .My kids too love this sweet. It smells awesome and even the taste is so good. The mouth watering taste of this recipe makes you get addicted to it. The recipe is very easy to prepare and never get it wrong. It contains less fat and good for health too… Banana is considered to be the most nutritious. The banana is an ideal fruit for growing children. In the south, there are five varieties, each of which is rich in essential nutrients. They are the green banana, the small yellow bananas, which are slightly sour, the Karpoora Vazhai , the red banana and the Nendran which is found in Kerala. Nendran is almost one-foot long and has a lot of vitamins. This is one fruit, which is so well preserved by nature that it can be readily eaten. It can safely be eaten by one and all from a baby of 9 months to an old person of 70.Bananas are said to be rich in vitamins A and B as well as many other nutrients like minerals, proteins and carbohydrates. A single banana consists of 100 calories, 5 per cent fat, 7 per cent calcium, 1.4 mg iron, 8 per cent protein, 8.2 per cent carbohydrates, and .01 per cent phosphorous. Consumption of the banana adds strength to the body. Savor this wholesome fruit either in a salad, or cooked in a variety of dishes, or just eat it! Banana (nendran) - 2 nos. Peel off the bananas and cut into slice . Add sliced bananas ,pinch of salt turmeric and cook in water over low heat, stirring to prevent the mixture from sticking. Cook for 10 minutes over medium flame or until bananas have cooked. Add jaggery after 4-5 minutes and continue stirring until dissolved. Keep stirring continuously till the mixture leaves the sides of the pan. Add ghee as necessary and stir.Then Add coconut & cardamom powder and remove from heat. Keep stirring till the mixture becomes viscous. Pour it into a greased tray and allow it to cool. The delicious snack is ready! Anu sriram & Malar Gandhi has passed me this cute award .Thank u anu & Malar for thinking me and passing to me. nusriram & Malar Gandhi has passed me this cute award .Thank u Anu & Malar for thinking me and passing to me..this sweet award. 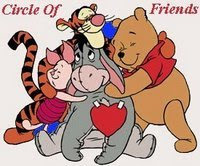 Thanx much for including me in ur circle. I'm pleased& feel honoured:). Rajeshwari of rakskitchen passed me this yum yum blog award.I am really thrilled and honored!I am happy & thank you so much to receive this award from u.
Priya,N33ma,Prema,vibaas,vidas , Akalsappadu ,Rekha& Rajeswari vijayanand. Looks so yummy! I love nenthram pazham halwa. 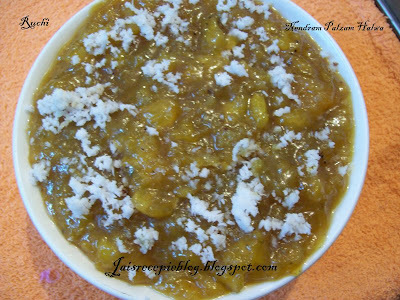 Never had this halwa, seems too delicious..looks quite easy to prepare..great dessert:)..congrats on ur awards..
Looks delicious..Very easy to prepare..hmm, bookmarking now.. I love this Halwa. I made this in microwave. Yours sounds delcious. Congrats om your award and thanks for thinking me. my MIL makes mean nendhra balehannu halwa and urs look gr8! looks so yummy... never tried any with nethram pazham. sure will give a try yr version. Thanks for the award dear. i m so happy to recieve it. wishes for ur students exam! banana halva is something new. looks yum. Nandra Pazham Halwa sounds fabulous! thank you very much for sharing your awards with me and for considering me as one of your friends; I really appreciate it and will definitely treasure it. Congrats on your award and thanks for thinking of me.........Nice dish!I dnt like bananas but I feed them to my skinny daughter to fatten her up. I never tasted a nendran pazham halwa, delicous one! looks perfect. love it. Also the mango thokku was really mouthwatering. i tried to write comments, but it didn't let me i donno why. Congratulations on your award Jaishree.. thanks for sharing it with me.. Delicious Halwa, Congrats on your awards!!! halwa looks so good.. can we use regular yellow bananas? my mouth is watering now. i love nendran pazham halwa nd also the steamed one...u said it correct. its very good 4 the infants and also for adults...ur halwa looks mouthwatering...and thanks for passing the cute awards..
Nendhram Pazham Halwa sounds so nice to me...miss that fruit, so much. Picture makes me crave for it. And thats lot of info about bananas...thanks for sharing. Looks really yummy & awesome..thxs for the awards..
Banana halwa looks perfect dear. Nendram pazham halwa sounds so delicious, would love to try this! Congrats on your awards and thanks so much for thinking of me ! yum yum yum i just love nendram pazham, it didn't strike me to try this jaishree, thanks for sharing. And thank you soo... much for passing me an award which made me feel so happy and proud to have friendship thru blogging with out even seeing each other. The halwa is awesome... lovely dish... congrats on all your awards dear. Nendran pazham halva This is one of my favorite dish. It looks so beautiful! so yummy! Thanks so much for sharing. Congrats on your awards.